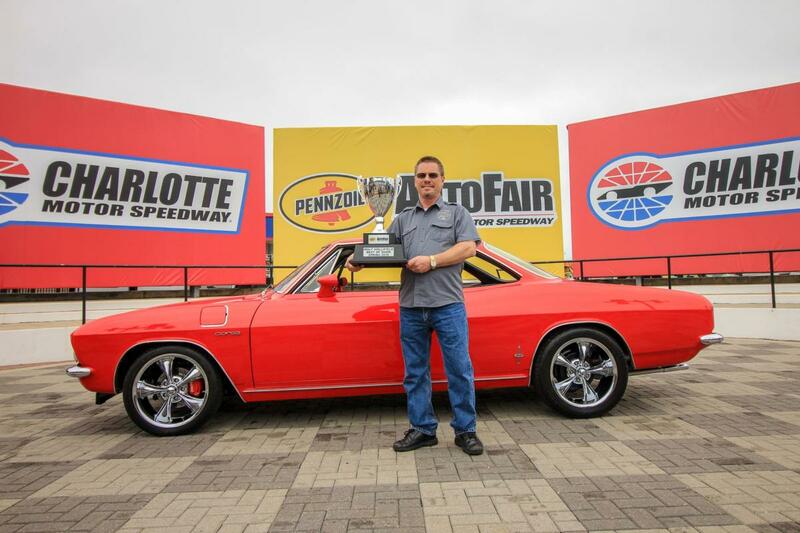 A son continued his father's legacy on Sunday at the Pennzoil AutoFair at Charlotte Motor Speedway, when Ronnie Jenkins and his red 1965 Corvair Corsa claimed Walt Hollifield Best of Show honors. Jenkins, a Rock Hill, South Carolina, native, restored the car with his late father, Richard. The pair worked on the Corvair in 2006 for a customer, however, in 2015, after the passing of his father, Jenkins knew he had to have it back. Later that year, he purchased it and began touring all over the country in loving memory of his father. "My dad has had me interested in Corvairs for most of my life," Jenkins said. "In 2006, we spent eight months together completely restoring the car for a customer. We replaced every nut, bolt and screw on the entire car. In 2015, my pop passed away and I just knew I had to have the car back. It represented the great times my dad and I had together before he passed away." The car won best paint in 2017, but he never expected to win Best of Show after a four-day weekend of timeless classic cars, trucks, customs and hot rods. Jenkins knew his Corvair was one of the best in the country, but he didn't figure the car could win against such stiff competition until a panel of judges including David Ankin, star of the television show "ToyMakerz," found Jenkin's car to be the best. Jenkins knows that his Corvair is special, having won awards in the past, but he was humbled to be selected as the Best of Show when competing against more than 50 models of hot rod, muscle, and classic cars. "It's one of the top two cars in the country - Corvair. But its not 55 Chevrolet, Camaro's, Mustangs and so forth. (At AutoFair,) they have a totally different standard of judging; it's much higher." The Best of Show award was named for Charlotte-area car expert Walt Hollifield, who has been a valuable part of AutoFair for 40 years. Hollifield presented his eponymous award to Mergen in the winner's circle. 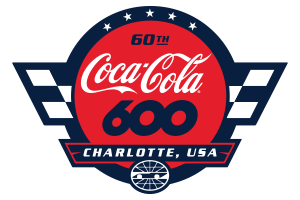 Fans can purchase tickets to upcoming speedway events including the April 26-28 NGK Spark Plugs NHRA Four-Wide Nationals at zMAX Dragway and the Coca-Cola 600 on May 26 by shopping online, calling 1-800-455-FANS (3267) or buying them at the gates. Connect with Charlotte Motor Speedway and stay up to speed with all the happenings at the speedway, The Dirt Track and zMAX Dragway by following on Facebook, Twitter or on Charlotte Motor Speedway's mobile app.